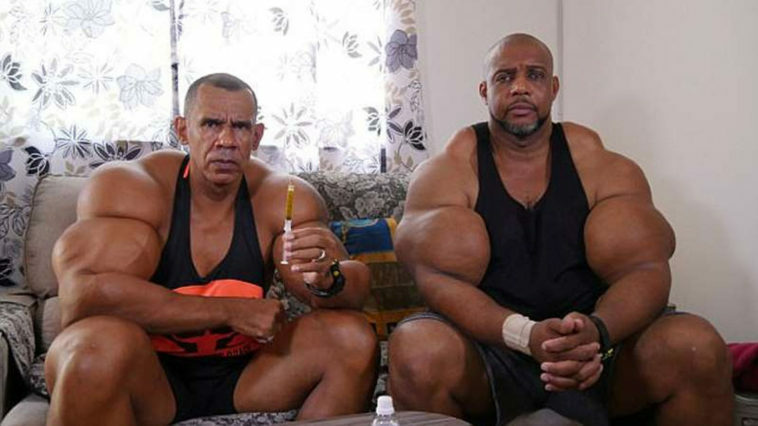 Two Brazilian brothers revealed the secret of the incredible size of their biceps – regular injections of synthetic oil. 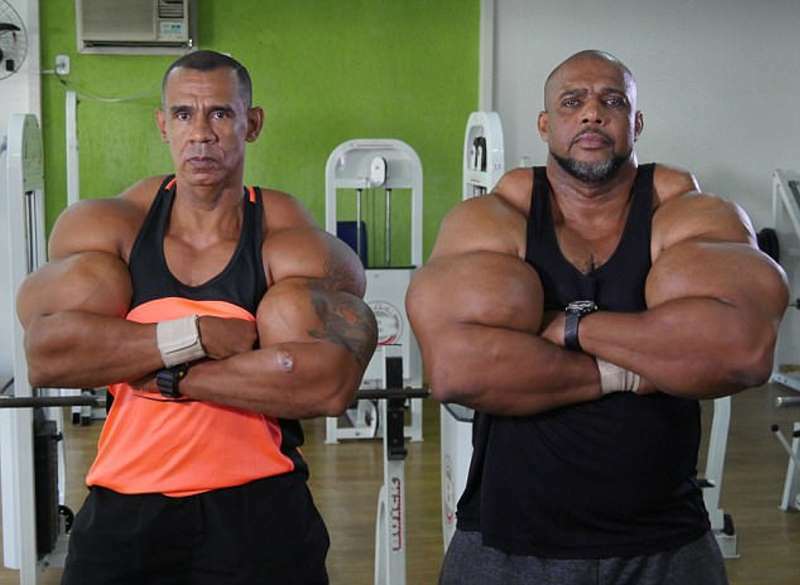 49-year-old Tony “Hulk” Geraldo and 50-year-old Alvaro “Conan” Pereira make injections of hazardous chemicals from adolescence. 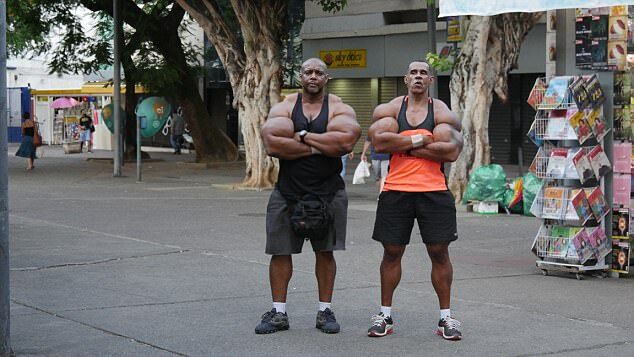 What is more, lads from Rio de Janeiro, Brazil, argue that they really had a “dependence to become big” before, but now they are in full control of the situation. In addition to regular injections, men daily train for hours and follow a strict diet. 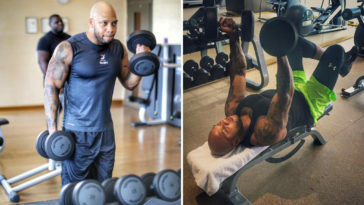 According to Geraldo, he eats every three hours: usually eggs, sweet potatoes and various meat, while Pereira eats four times a day. Each of them daily absorbs from 4 to 6 thousand calories. Before starting their exercises in the gym, brothers usually eat 12 bananas and 6 egg whites. Brazilians also claim that there were times when they were so big that they could not squeeze through the door. 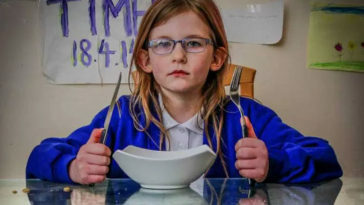 Pereira periodically uses the drug, known as Potenay B12, from the age of 15. The younger brother followed in his footsteps from the age of 18. 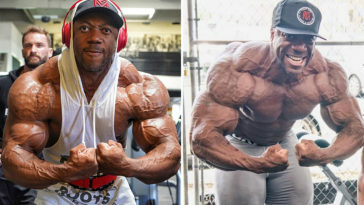 The brothers explain that they started using steroids because they felt “too skinny”. In adolescence, Geraldo weighed 49 kg, while Pereira was 70 kg. 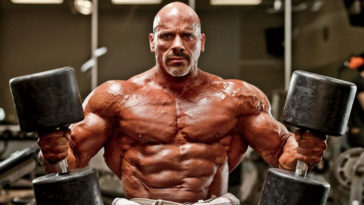 Unlike to Kirill Tereshin bodybuilders inject the chemical by cycles – twice a week with a 5-day break. 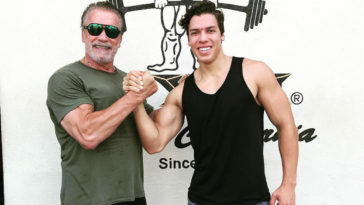 Now the coverage of each of Geraldo’s huge biceps is more than 70 centimeters, whereas his brother boasts 63-centimeter muscles. 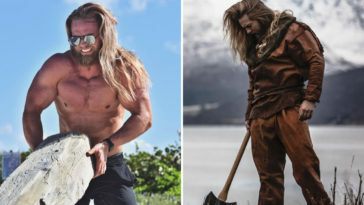 Not surprisingly, the chief inspirer of the brothers is Arnold Schwarzenegger and, in particular, his role of Conan the Barbarian. 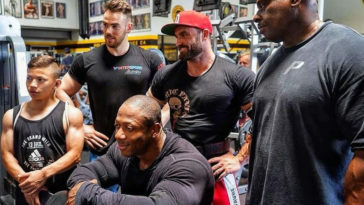 To add, recently the physician of the bodybuilders advised them to stop using injections – both for health reasons, and because their skin can no longer stretch. Potenay B12 is intended for use only for veterinary purposes – for animals such as horses. 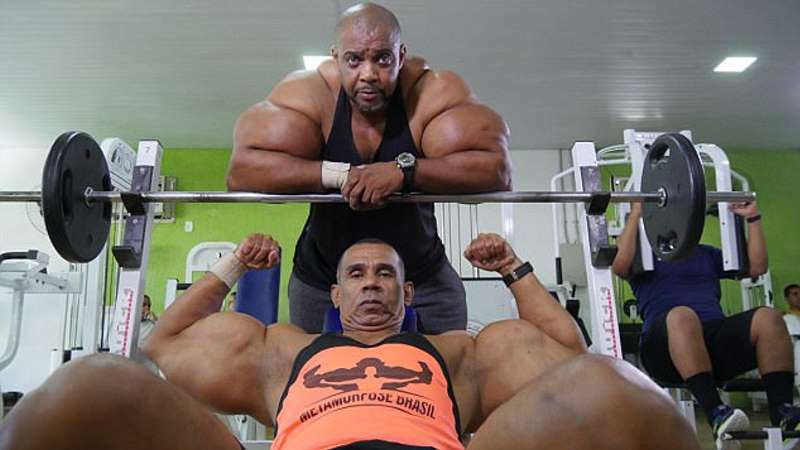 However, there is an increase in the number of people in Brazil who inject this supplement to bigger their muscles. 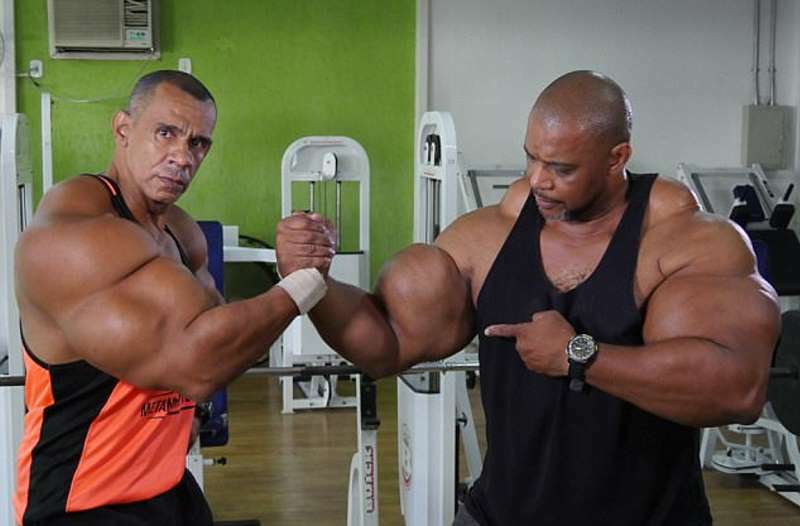 Pereira’s wife, whom he met at the gym, and his seven children totally support him. On the contrary, Geraldo’s wife, and his three children, with whom he has been married for 27 years, opposes the use of steroids. An additional argument for this is the high blood pressure of a man, but Geraldo says that he offered his wife a choice: either she lives with him, or leaves.